The core of our business is to forge deep partnerships with small business in manufacturing, agriculture or retail sales or service. We understand the flow of business and the need for a reliable source of funding in good times and bad. Growing with your business is a path to our mutual benefit. 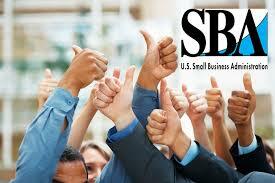 We have experience working with many types of businesses and with many different financial programs and products. In addition to the traditional bank offerings of operating lines and term loans our lenders have experience working with several types of guaranteed loans which can allow your small business to grow when limited resources are holding your growth back. Another great product that grows directly with your sales is the Business Manager Program. This product let's you focus on your business while we help with the cash flow. Visit with us about our lending products. Feel free to stop by or give us a call (402-768-6027) to learn more. Business Manager is a great cash flow solution. Applications may not be submitted to the bank through the website. However, once you fill out the application and sign it, you can drop it off in person, mail it, fax it, or scan it and email it to us.